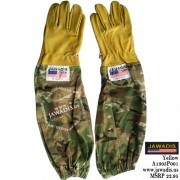 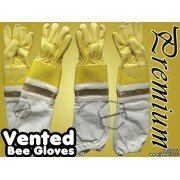 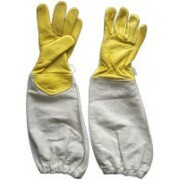 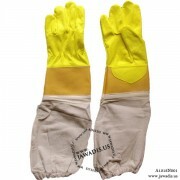 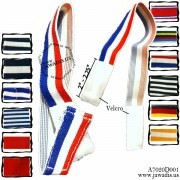 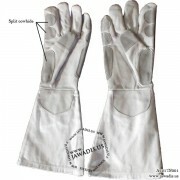 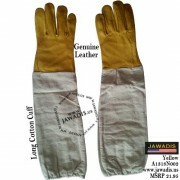 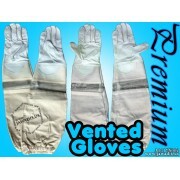 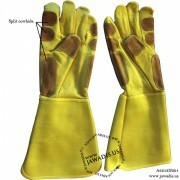 Jawadis genuine leather beekeeping gloves feature white and yellow all leather beekeeping gloves and ventilation gloves just above the wrist for all those hot days with the hives. 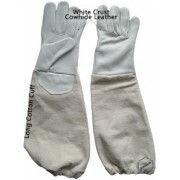 Thick, quality cowhide leather helps protects against stings, and is soft enough to provide good feel when working through each hive. 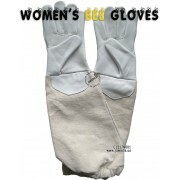 Each gloves provides a strong elastic seals off the ends of the gloves keeping the bees out while keeping the gloves in place.